Of these, only Crystal Palace avoided making a loss, with average losses among the 19 of more than Â£300,000 per week. The report, which is titled 'Over the Line', puts this down to the "economic exhaustion" caused by trying to compete with the more established Premier League clubs. In a statement, Vysyble's Roger Bell said many fans and owners of clubs in the English Football League (EFL) see promotion to the top flight as a "golden ticket to untold riches" but in reality trying to stay in the Premier League is "ultimately loss-making". This "financial over-exertion" can lead to long-term problems, Bell continued, which cannot be solved by parachute payments to relegated clubs, even though they can now total more than Â£90million. Vysyble's analysis, however, is not shared by all football finance experts or the leagues.
" Reports of this nature inflame the position and confuse the reality of the situation for supporters," the spokesman said. 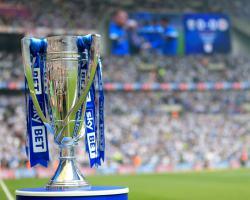 Citing the financial fair play rules introduced in 2012, the league's improved revenues and solidarity payments from the Premier League, the EFL spokesman said no club had been through an insolvency process for several years. He added football is a " competitive industry", where progress up the league pyramid is the main goal, but said the EFL's rules are under regular review as its clubs "clearly face different financial challenges to those in the Premier League". The Premier League declined to comment on the report, but it is understood it does not believe Vysyble's use of the concept of "economic profit" is particularly sensible when talking about football.
" Owners who accept the risk of relegation but also preserve the balance sheet face much better prospects if the club is indeed relegated, with Burnley, Norwich and Newcastle proving to be excellent examples," he said.